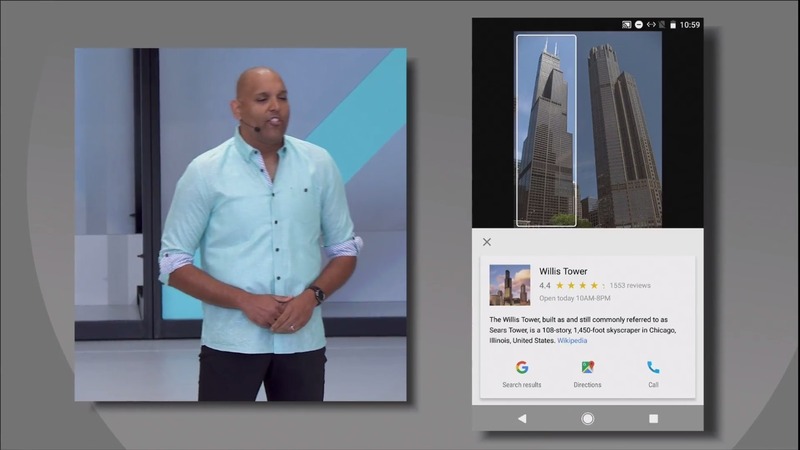 Google has announced at I/O that Google Photos will also be seeing Google Lens integration. Now we'll be able to get contextual information about the images we have previously taken as well, not just whatever we can snap right now. From looking up the details and name of that plant or piece of artwork you liked, to checking to see what that cool old building you saw was, now you can apply those same Google Lens tools to the past as well as the present. We discussed Google Lens in another post, but it's basically a new tool for the Assistant which can look at stuff and give you contextual info about it. It presents information such as what you might be looking at or translations of text, parses things you capture like invitations or business cards, and passes it to other apps like Calendar or Contacts, the list goes on. Well, Google Photos is also getting in on the Google Lens integration fun, too. We don't know how many of the features from Google Lens will work in Photos, but with the many ways that image recognition can be applied, it's sure to be of use. Google says it'll be rolling the feature later this year, as well as expanding the number of things it is capable of identifying and interacting with.